BiblicalQuestions.net: Should Christians participate in Halloween? This site is dedicated to answering Biblical questions from an accurate and proper analysis. Bible questions are the best way to grow your faith and we help people become stronger! Ghouls, goblins, witches and candy... 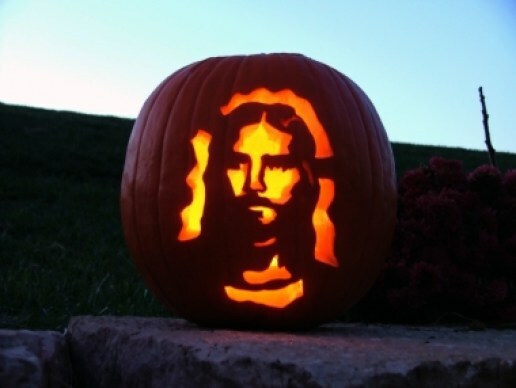 This is what many Christians associate with the yearly Halloween festivities in America. There has been a historic divide between Christians about if and how we may participate in Halloween.. So much so that it has led to friends arguing harshly, churches issuing mandates, and most Christians left feeling confused about the matter. In this article I intend to review the history of Halloween, look at some of the Christian objections to participating in Halloween, and offer what I believe to be a Biblical approach to this issue that all Christians can unite on through Christ's love. "In the 7th century CE Pope Boniface IV established All Saints’ Day, originally on May 13, and in the following century, perhaps in an effort to supplant the pagan holiday (the festival of Samhain) with a Christian observance, it was moved to November 1st. The evening before All Saints’ Day became a holy, or hallowed, eve and thus Halloween." Many historians have assumed that the choice of November 1st for All Saints Day by Pope Boniface IV (thus creating Halloween on October 31st) was an attempt to supplant a widely celebrated pagan holiday called Samhain. Samhain was a Celtic holiday which was thought to initiate the spirits of those who died that year into an annual transition into the afterlife, as well as give spirits who died in previous years the opportunity to visit earth for a day. The Romans later incorporated large aspects of this into their holiday calendar thus making it widely practiced by non-believers. Many Christians who object to participating in Halloween festivities point to this ancient holiday that was supplanted by Halloween in the 7th century. The argument basically says that because October 31st was once a pagan holiday we must not participate in Halloween festivities or we are committing a form of idolatry. However, this does not stand to reason. Most Christians who take their children trick or treating on Halloween are not doing so in honor of a pagan holiday from ancient Celtic times. They are simply letting their kids dress up like different characters and collect candy with their friends. There is nothing inherently sinful about this activity if done simply as an exciting family outing. Another objection raised within the Christian community points to the increase in occultic activities on October 31st by people who follow occultic beliefs. This arguments basically says that because people who are involved in the occult do more occultic activities on October 31st Christians should not participate in any Halloween festivities. However, this does not stand to reason either. Most Christians who take their children trick or treating on Halloween are not doing so as a form of participating in the occult, nor is it an occultic practice. One suggested parameter that I advise is to make sure that the costumes your children wear are not promoting the occult (witches, ghouls, goblins, and other dark creatures). If your children wear superhero costumes or a costume of their favorite tv character there is nothing inherently sinful with this practice if done simply as an exciting family outing. Now that I have addressed the two most common arguments against Halloween I will now provide some suggested parameters for Christians who do participate in trick or treating. In addition to the costume element I mentioned, I would suggest teaching your children about the true history of Halloween and how it is rooted in Church History. You may also share with your kids about Reformation Day which is also on October 31st commemorating the 95 theses of Martin Luther being nailed to the door of the Catholic Church in Wittenberg, Germany. Take time to frame the evening as a family outing and not the "pursuit of pleasure." To often we promote a hedonistic version of Christianity. I also encourage churches not to surrender Halloween to secular society and consider fall festival outreaches around Halloween time. Finally, I want to speak to my Christian brothers and sisters who try to stop other Christians from participating in Halloween in any way. I understand that you want Christians to separate themselves from anything that appears to have ungodly origins, however we must remember what scripture says in Psalm 118:24:"This is the day the Lord has made; We will rejoice and be glad in it." We as the people of God are to be in the world but not of the world. If you feel uncomfortable with Halloween then I affirm your choice to not participate in any way, but I also encourage you to make the issue more about Christians redeeming each day we are given rather than becoming reclusive on days that we perceive to be ungodly. Yes, there are godly parameters that must be set on any day of the year, as well as Halloween (as mentioned earlier). But let's remember that society would never have a chance to meet Christians and hear about our Lord if we all remain hidden in our homes. Just something to think about... I hope this article is a blessing! Labels: All Saints Day, Halloween, Samhain, Should Christians participate in Halloween? What did Jesus say about homosexuality? What is the Baptism in the Holy Spirit? What the Bible say about Hell, Judgment, and Eternal Punishment? Does Romans 9 teach that God predestines people to go to hell? What is the spirit of Jezebel? All blog material is property of Nathan Kyle Bailey content may be shared with proper attribution. Simple theme. Powered by Blogger.